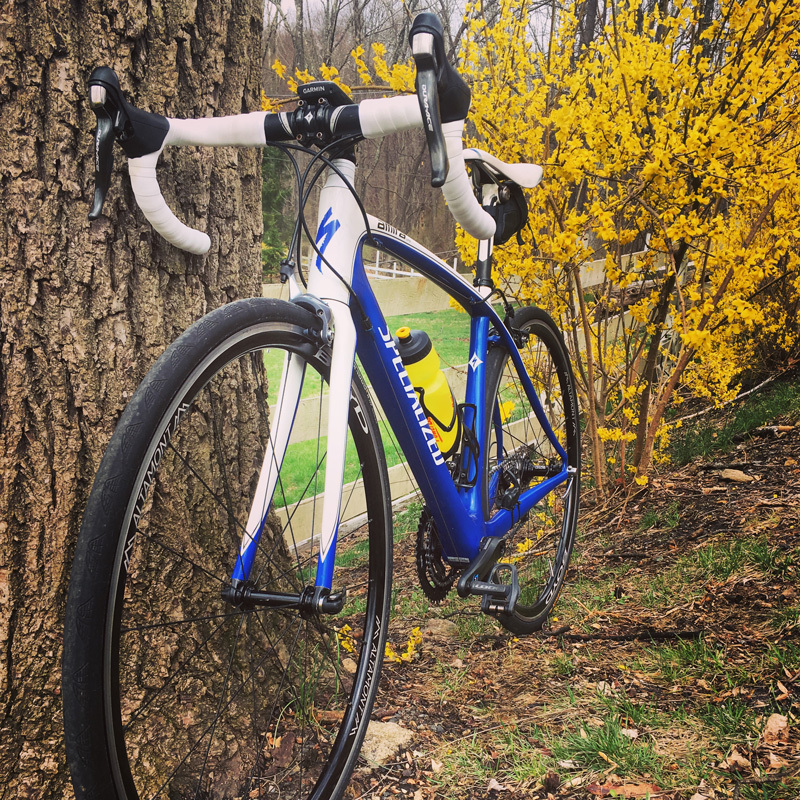 “Just keep pedaling,” I thought as I looked at the somewhat steep hill that loomed ahead of me. I had a choice to make at that moment; was I going to turn left and head back home or would I continue on up the hill which was leading me toward a much longer ride. Two hours later, my legs were tired but the sun and the breeze felt so nice as I rolled back into my driveway and looked down at my Garmin which read 40.1 miles exactly. It hadn’t been my fastest ride ever. 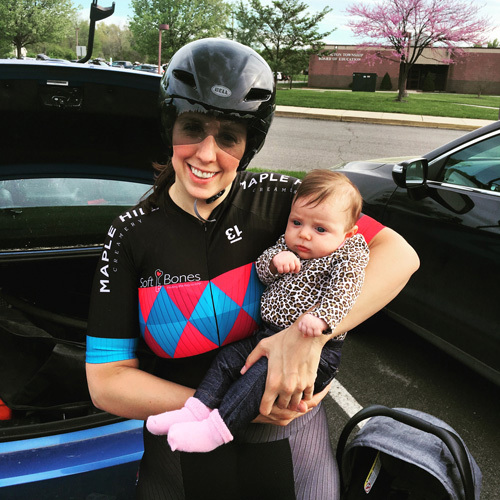 I really had to slowly chug my way up some of those hills, but I was only eight weeks and five days post-partum and I was happy that I made the decision to take on the challenge of the longer ride. I went to see my doctor about a week and a half before that; about seven weeks after delivering my baby girl via C-section. He said that I appeared to be fully healed from the surgery. “Can I exercise? Are there any restrictions now?” I asked him. That was all I needed to hear. 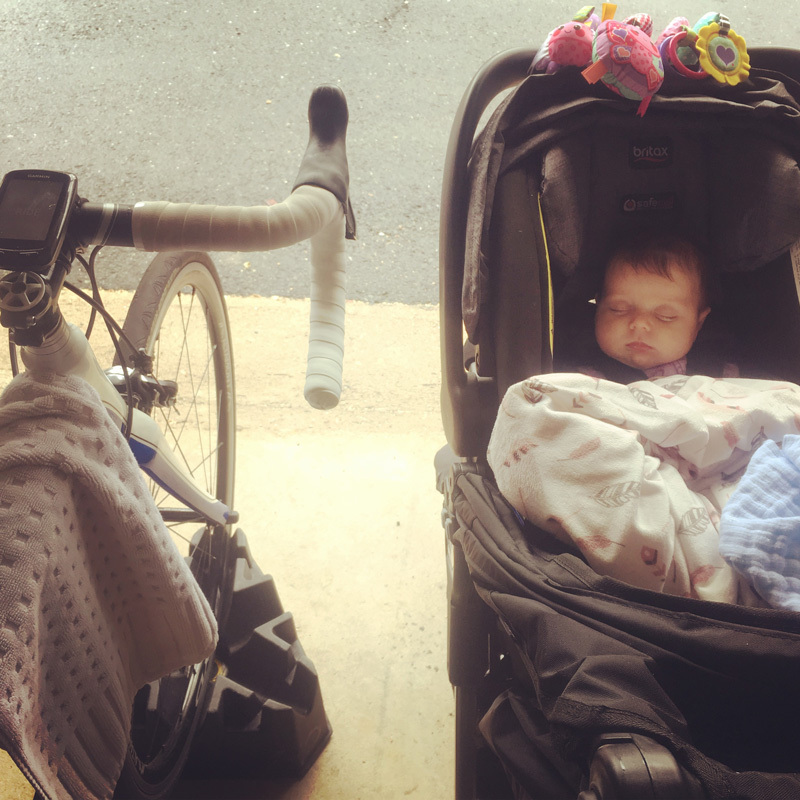 As soon as I returned home from the appointment I gave a quick hello and goodbye to my husband and baby, changed clothes and headed out on my bike. Being back on my bike, gliding down the open road, was a glorious feeling in some ways. I was out in the fresh air, getting a break from being a mother and beginning to feel more like old self again. However, my cycling clothing didn’t fit quite as comfortably as it used to (thank goodness it is all spandex!). My legs felt heavy and my breathing was labored as I made my way up the first little hill climbing up and away from my house. My feelings of elation at being back out on the road were being dampened by the fact that I felt heavy, out of shape and slow. In spite of the fact that I was active all throughout my pregnancy, I realized I was going to have my work cut out for me to get back into the kind of shape I was in last spring. It is humbling to have to start over again after training so hard for many years to get to a certain level of fitness. I know that I am not starting from square one, but I have definitely taken several steps back. My weight is up about twenty pounds which really doesn’t help matters, especially when carrying that extra weight up hills. Then there is the sleep deprivation which poses yet another challenge. It’s hard to get motivated to push myself when I have been awake with a newborn for half the night and only getting mediocre sleep for the other half. However, I am determined to get my fitness back, to suffer and to push for as long as I have to; sleep deprivation and baby weight be damned! On my first two or three rides back out there I felt tired and out of shape, but about a week later I started to feel my legs come back to life just a little bit. I was able to push myself harder and ride a bit faster. I was trying to enjoy just being back out on the bike, but I knew I would enjoy it much more if I could ride just a bit stronger and faster. I know I will have to make myself uncomfortable, to force myself to really push and to climb bigger hills, in order to get back to the same fitness level I was at before becoming pregnant. 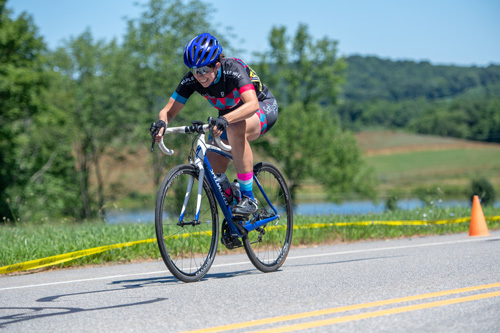 Taking on that forty-mile ride was a good first step, but it is only the first step in getting back to being the athlete that I was and that I want to be.